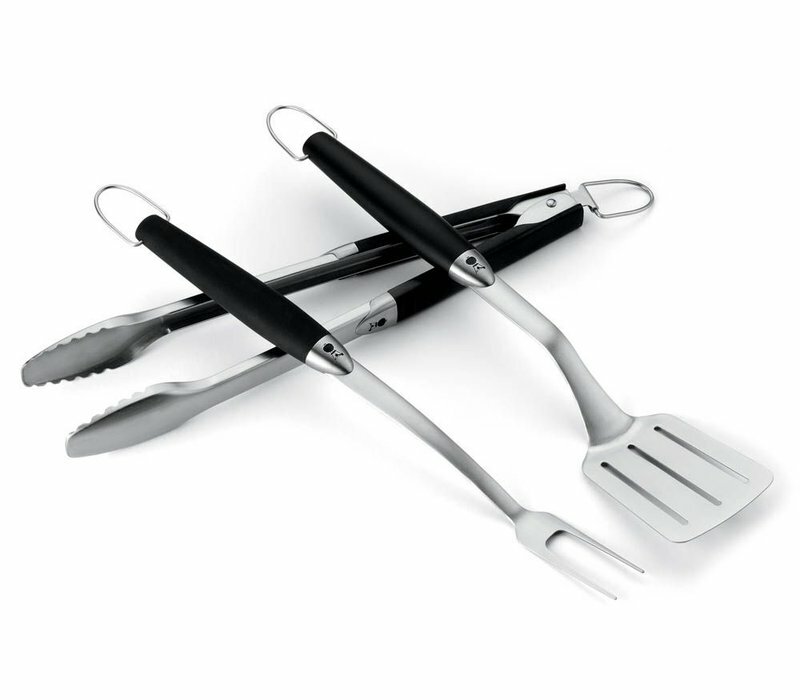 The Weber Premium Tool Set - 3 piece is perfect for burgers, sausages and more. 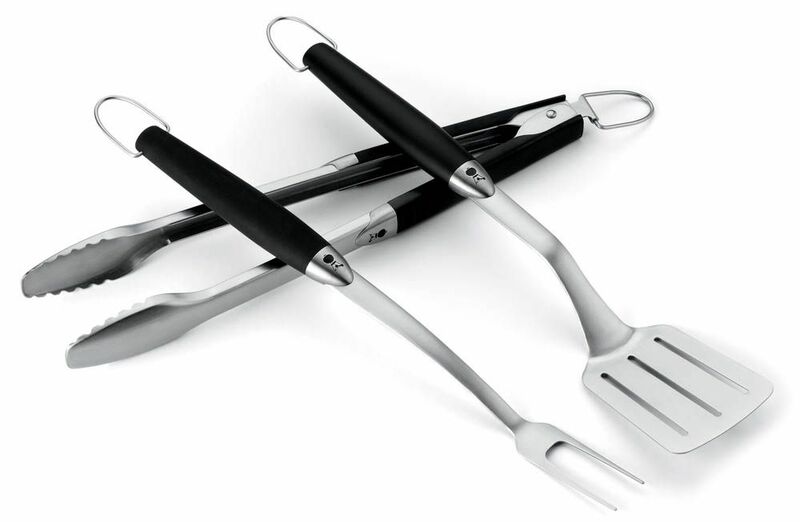 Angled spatula, hands free locking tongs and barbecuing fork. Dishwasher safe.